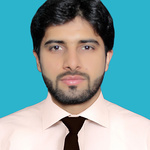 I have completed my graduation as a Software Engineer from COMSATS Lahore. I have worked with Gaming of Universal Ideas as a Game Developer for 1 year and 5 Months. After That...Read moreI have completed my graduation as a Software Engineer from COMSATS Lahore. I have worked with Gaming of Universal Ideas as a Game Developer for 1 year and 5 Months. After That i have worked with I can and will Games and learnt a lot of things from experienced team members. I have worked on all type of games i.e. Shooting, Simulation, Racing(Bike,Car).